Harmony of the Seas is arriving back at Port Everglades today after the terrible incident where a passenger passed away. As more details come to us we now have another update from a passenger who was onboard at the time. It appears the passenger indeed was a young teen boy who fell when trying to crawl from one balcony to another in an adjoining cabin on Deck 8 starboard (which is also where my balcony cabin is located). 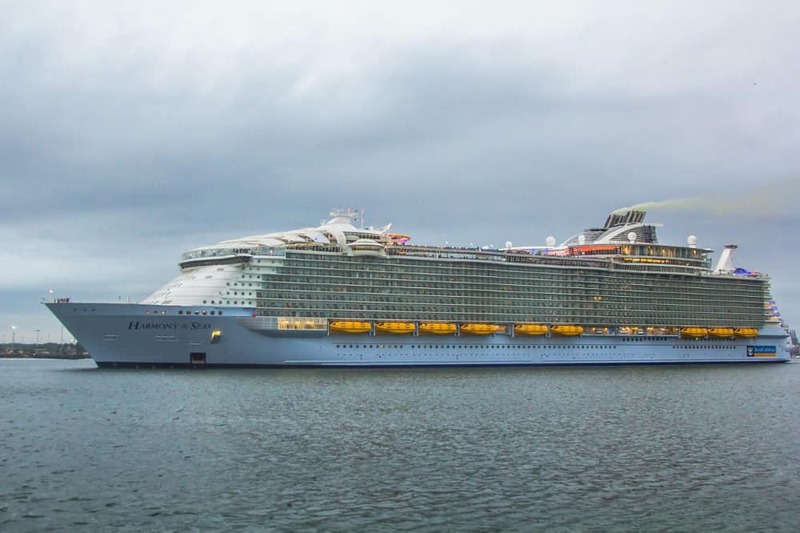 Tragic news coming from one of the world’s largest cruise ships of a guest falling from one of the decks on Harmony of the Seas to the concrete dock below. According to passengers post on the social media site Twitter a guest may have jumped from a balcony or one of the open decks on the Royal Caribbean cruise ship at around 11:30 AM yesterday. One guest who is on the ship now contacted Cruise Hive saying the passenger was male and in his 50s and he jumped/fell from deck 16 which is still cordoned off with police tape. The passenger fell down to the dock below while the large cruise ship was docked in Labadee, Haiti on Friday. The guest apparently passed away, very sad news indeed. With the height of the railings on balconies and all decks, it is unlikely the young passenger fell by accident unless climbing or doing something dangerous. I am on Royal Caribbean harmony of the seas. Someone has just fallen off the boat to their death in Haiti. The name of the guest is unknown. It must be a hugely difficult time for fellow cruisers, family and friends and our thoughts go out to them all. The news was first posted by Cruise Law News, you can read the article here. Harmony of the Seas os part of the Oasis-class from Royal Caribbean and among the world’s largest cruise ships. We don’t have many details about this tragedy on the Oasis-class vessel so do keep checking back as we’ll update this post once we know more. The ship is sailing a 7-night eastern Caribbean itinerary at the moment and was scheduled to depart Labadee, Haiti at around 6:00 PM yesterday. The vessel also called at St. Maarten and San Juan as part of the voyage. The ship is set to arrive back at its homeport in Fort Lauderdale on Sunday, January 13. Harmony of the Seas is a 226,960 gross ton ship and has a guest capacity of over 5,400 at double occupancy. This is the latest in a series of bad news involving Royal Caribbean. In December a crew member went overboard and was sadly never found, this also occurred on Harmony of the Seas. Just a day ago we posted about a Norovirus outbreak on sister ship Oasis of the Seas which forced the cruise line to cancel the cruise.